In 1985 The Golden Bear in Huntington Beach closed down and that ended my new successful venture in promoting bands and concerts at that venue. 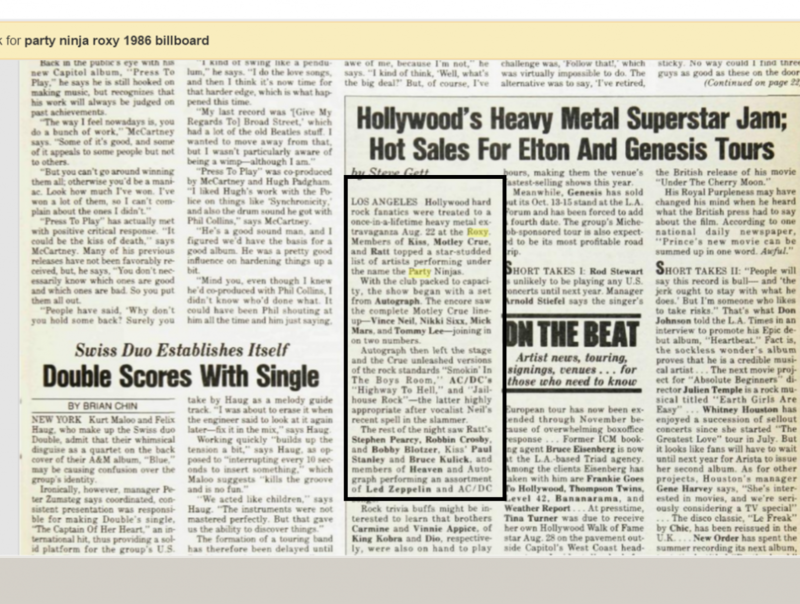 During that time I started started booking bands at The Roxy in West Hollywood. It was a great club and the few shows I did had good attendance, but it was hard to make a profit with the high expense of 4 walling the venue. Meanwhile the owners and managers got to know me and liked my shows. They informed me after nearly 5 years of closure that the West Hollywood city council has granted them a license to reopen The Whisky A GoGo. 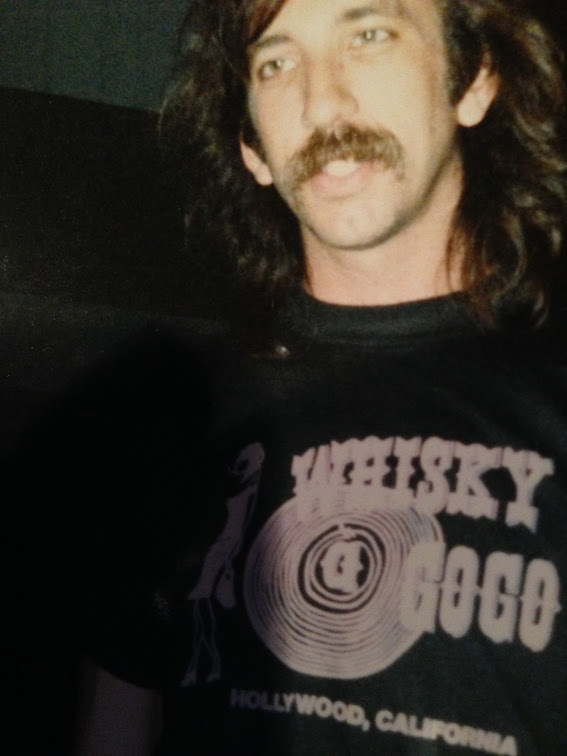 I never knew the same people owned The Whisky A GoGo. The Whisky a gogo on the outside was completely stripped of it’s famous look and it was plain and grey. It looked like a former bank building. When they showed me inside it too was completely stripped, no stage, sound, lights, just an empty space. I couldn’t believe I was in one of the most famous clubs in the world and it was completely stripped out. The owners new that I had an extensive production experience and told me they would like to hire me to work there on the production staff and to help the install of the stage, sound and lights. In another words get the The Whisky a gogo back to operating condition so they can reopen. They also told me they were going to rent (4 wall) the nights out to individual promoters like they did The Roxy and they would give me first dibs on the nights I wanted to promote. Because I was still living an hour away they told me I can sleep on the top floor until I found an apartment. Living on the top floor was rough because there was no bedroom or furniture. I slept in a sleeping bag on the wooden floor but what a view of the Sunset Strip. My living was uncomfortable but my motivation and this opportunity was huge and exciting. 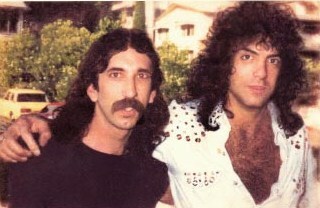 On August 22nd 1986 at The Roxy Theater I booked my most famous and biggest show The band was called the Party Ninjas. The Party Ningas was a band made-up of major rock stars such as Motley Crue, Ratt, Paul Stanley, Steve Plunkett (Autograph) , Carmen Appice and several other rock stars.. 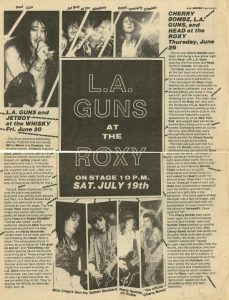 The night stated of with opening band LA Guns, then Autograph, Motley Crue followed by the all star jam of the Party Ninjas. 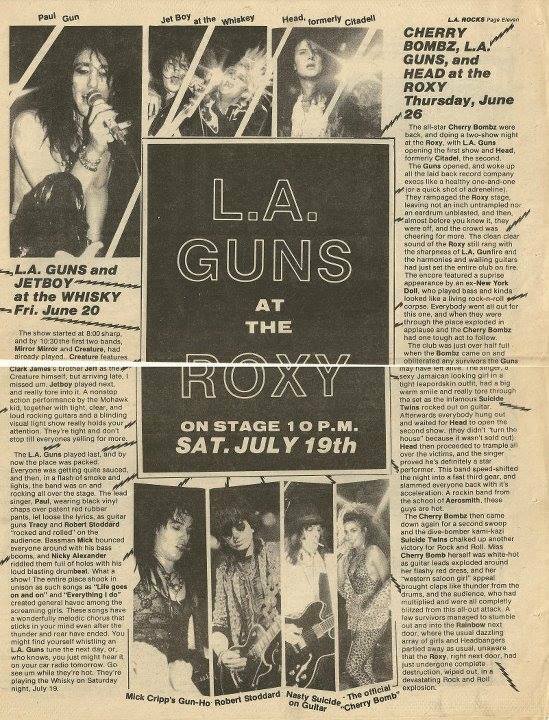 There was so many people there they nearly destroyed The Roxy and it did shut down the Sunset Strip.What a night.